Just launched and already supported by Cellfservices: Unlock your brand new iPhone Xs / Xs Max / Xr now Permanently for All Networks Worldwide with our Official Factory Unlock service! Unlocking your iPhone Xs / Xs Max / Xr with Cellfservices is Fast, Easy and with 100% Success Guarantee! How does the Apple iPhone Xs / Xs Max / Xr Unlocking work? 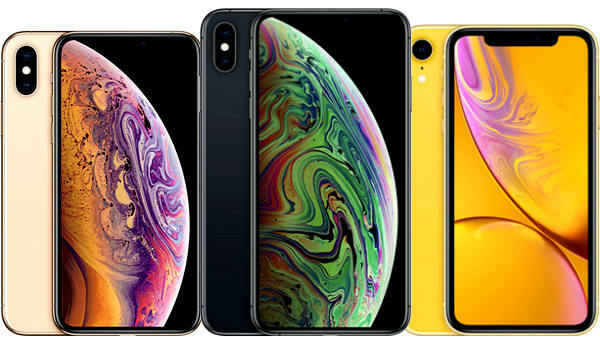 The Apple iPhone Xs / Xs Max / Xr Unlocking solution we provide is called Factory Unlocking: The IMEI (= GSM Serial) of your phone will be set to “Unlocked” directly in Apple’s Official iPhone Database, so the Unlock is applied fully remotely and does not require any modification of your phone’s firmware. Yes! Your iPhone will be permanently unlocked, even after upgrading iOS. Which networks can I use with my unlocked iPhone? You will be able to use all GSM networks worldwide without restrictions. What’s the difference between Factory Unlocking and Jailbreaking? Factory Unlocking is not a jailbreak or any other kind of unauthorized firmware modification, so it does not void your warranty and will not cause problems when updating your firmware at any point. What if I don’t know which Network my iPhone is originally from? No problem! Just get an iPhone Network Check before ordering your Unlock! Yes! Factory Unlocking is 100% Safe and covered by our 100% Satisfaction Guarantee! Use your iPhone with any GSM Network worldwide without restrictions. Say “Good Bye!” to Roaming Fees by simply using local prepaid SIM Cards on travel. Increase the value of your iPhone drastically when selling. On top of all the mentioned Pros of Unlocking, there are absolutely no Side Effects on the Functionality of the phone – it just deactivates the Network Lock! With over 10 Years of Experience we provide Unlocking Solutions for more than 10,000 Phone Models worldwide. Our Services are fast, easy and effective. Let our Experience work for you! Permanent Unlock – Factory Unlocking unlocks your device permanently! 24/7 Fully Automated Order Processing & Notification by Email. Lowest Price & Fastest Processing Time for all Networks! No need to send your phone in – Get your iPhone unlocked fully remotely. No complicated Software or Cables – Just insert new SIM and activate with iTunes! No Hidden or Subsequent Costs – Factory Unlocking is a single One-Time Fee! 100% Money Back Guarantee – No charges for unsuccessful unlocks. Live Support by Facebook, Toll-Free Hotline, Skype and Email. Unlock your iPhone Xs now! Unlock your iPhone Xs Max now! Unlock your iPhone Xr now!